Hiding files on your computer is a clever idea, and you can easily find ways to do it. After all, you do not want prying eyes snooping around in your confidential files. However, finding hidden files on a computer is common knowledge. In fact, you can read a Tech-Recipes tutorial on how to show or hide hidden files on your computer. If you have a highly sensitive file that you do not want others to access, here is a simple tutorial for you. 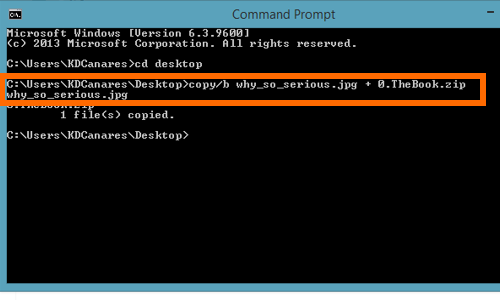 You can hide any file on your PC inside an image file. Hiding a file in an image may not make any sense, but it is actually possible to put any file into an image file without altering the image’s function, which means the image file can still be opened normally. That may seem too complicated, but it is really easy. Read on and follow the steps below to get started.